Although we may not be flying around in rocket ships quite yet, retail today is about as futuristic as anyone could have imagined. It’s hard to envision a world without the 24/7 on-demand access to the endless aisles of ecommerce retail. Personalization has played a huge role in, not only the success of companies like Amazon, but the advancements in ecommerce and retail as a whole. Personalization has enabled retailers to create digital channels that feel as intimate and customer-oriented as a physical store; so over time consumers feel recognized as unique individuals in their shopping journeys. So what is next in the world of retail personalization? 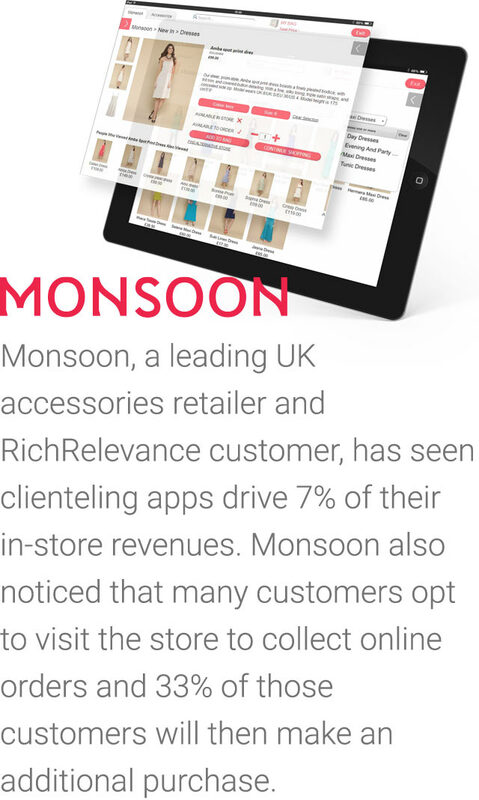 In an effort to identify the top of mind personalization trends for retailers and brands in 2016, RichRelevance reviewed the requests for proposals (RFPs) from 2015. The retailer RFPs reviewed were largely represented by Internet Retailer’s Top 100 in North America and were retailers who made over $75 billion in aggregated revenue. Overall, we can see how retailers are uniting the consumer experience. Over the next year, retailers will leverage personalization to bring together all digital and physical channels – to create true omnichannel customer experiences based on three key trends. Retailers today are laser focused on enhancing shopper experiences by using data that is readily available across channels. With every additional touch point and channel, retailers have been granted the gift of data. Until now little has been done to leverage the information retailers have gathered and most of the data has not been synthesized to create an omnichannel experience. To fully implement personalization retailers require a powerful personalization platform to ingest retail data from feeds such as smartphones, tablets, point-of-sale systems, inventory and contact centers. The more data points a retailer collects and integrates, the more seamless a customer experience becomes across channels. For example, consider how things might be merchandised in stores versus how they’re displayed online – what departments are physically next to each other or across the aisle, and how leveraging purchase data from the store could positively impact online engagement and sales. Integrating personalization from third party vendors and channels also plays a crucial role in unifying all the elements of the consumer’s physical and digital world. By influencing personalization with geographic, demographic, weather and loyalty components adds an incremental layer of sophistication and relevance. Tying directly into Trend 1, leads us to the next trend of enabling smarter associates. Today’s retailer wants to enable customer-facing personnel with digital technologies to help associates deliver in real time the highest level of customer service possible. By using a personalization platform that synthesizes human intelligence with artificial intelligence the retail associate can leverage all cross channel customer data, product details and content at every interaction. One of the biggest challenges in retail is bringing together all shopping channels to deliver a seamless customer experience. An ideal experience has no friction, so that when a consumer walks into a store or calls the contact center, the retail representative already knows everything that customer has looked at, purchased and even returned over the years. To solve this problem of eliminating friction to consumers, retailers are launching a variety of associate-facing applications for use in stores and even contact centers. These applications recall all previous and current customer behaviors/purchases in real time so that an associate can offer a level of customer service that is complementary to the individual’s history, tastes and preferences. Enabling smarter associates will also play a big role in personalizing contact or call centers. By leveraging different types of clienteling applications, agents will no longer need to spend time determining who a shopper is or what they want. The application will give the agent a real-time view into recent browsing history and purchases across channels to offer a relevant response right from the start. In an effort to combat the strong footprint that the Amazon and other pure play ecommerce retailers have acquired over the last decade, multichannel retailers are bringing technology to the storefront. Retailers are creating unique and innovative shopping experiences to tend to the zero-friction shopping needs of the modern consumer. A great example of in-store innovation includes the Intelligent Fitting Rooms that leverage RFID (Radio Frequency Identification) tags to recognize clothing that is brought into the fitting room. By integrating this technology in the fitting room, retailers can help shoppers find alternate sizes and offer intelligent recommendations to suggest alternatives or assist in completing a look. In summary, this is the year of a unified customer experience placing great focus on cross-channel shoppers, anticipating their needs and catering to them with services that previously didn’t exist. The three trends of completing personalization, enabling smarter associates and launching tech savvy stores create an sophisticated and seamless omnichannel experience for the shopper, and ultimately allow personalization technologies to influence even more of the consumer experience than ever before. For more 2016 insights visit us at our RelevanceTV YouTube channel. My experience with one of the world’s most prolific technology trailblazers changed me forever. When I worked at Amazon, CEO Jeff Bezos himself tasked me with digging into Amazon’s data to unearth new ways to grow the business. My experience with Jeff Bezos changed me forever. In 2003, Amazon hired me directly out of Stanford. I initially turned down six separate offers until management coaxed me into running the company’s Customer Behavior Research group focused on data-mining research and development. Upon arrival in Seattle, I was bounced around from one manager to another, including working directly with Bezos himself.